LONDON (AFP) - Britain’s prestigious Tate institution, which runs four of the country’s best known art galleries, announced Tuesday it would have its first female director with the appointment of Maria Balshaw. The 46-year-old will succeed Nicholas Serota in one of the most influential jobs in the country’s arts industry after transforming Manchester’s cultural landscape. “I am honored to be asked by the trustees of Tate to become the new director,” said Balshaw, who takes over on June 1. Serota has run Tate for almost 30 years, transforming it into a global brand. He is leaving to become the chairman of Arts Council England. He masterminded the creation of London’s Tate Modern, the world’s most popular modern art museum, and oversaw the institution’s other three galleries: Tate Britain in London, Tate Liverpool and Tate St Ives. 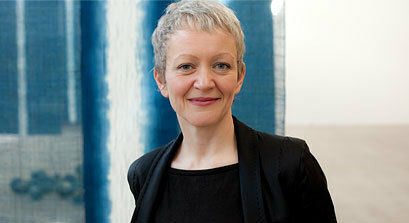 Balshaw will quit as director of the Whitworth Art Gallery in the run-down Manchester neighborhood of Moss Side. She oversaw its 17 million pound ($20.6 million) renovation and helped it win Museum of the Year in 2015. She is also director of the Manchester Art Gallery and the Gallery of Costume, and director of culture for Manchester City Council. Balshaw earned a reputation as a champion of live and performing art with one installation consisting of an artist spending 65 consecutive days in front of a live audience, eating, sleeping, and drawing. She has been credited with significantly expanding the collections of the galleries she leads. “The trustees and I know that Maria has the vision, drive and stature to lead Tate into its next phase of development,” said Tate chairman of trustees John Browne.